GKN Fasteners of Woden Road, West Lings Hill, Wednesbury, West Midlands, WS10 7TT. R. H. Bruce and Co Ltd.
Buchanan and Wilson (London) Ltd.
Graham Builders Merchants (North) Ltd.
L. Le Personne and Co Ltd.
McArthur Steel and Metal Ltd.
W. M. Owlett (Western) Ltd.
W. M. Owlett and Sons Ltd.
Q. 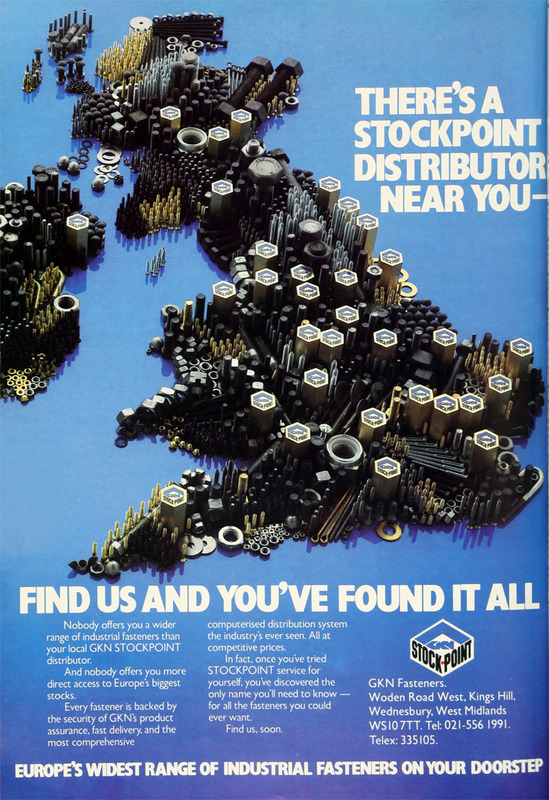 B. M. Distributors Ltd.
Charles Stringer's Sons and Co Ltd.
John Williams Steel Service Ltd.
DIY Fasteners Handbook by GKN published March 1977 digitally available in SMCL. This page was last edited on 22 June 2017, at 16:53.